Bees are fascinating creatures and we can a learn a lot from them. However, you should observe bees cautiously and only from a distance. When bees or wasps are far away from their hive or nest and just foraging, they will rarely sting. Unless you step on them or handle them roughly. In most cases, they sting you because you’ve threatened them somehow or you accidentally touched them. How to avoid getting stung? 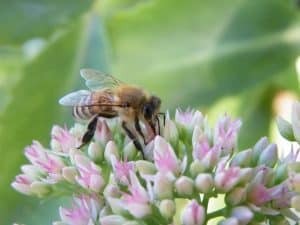 The best way to avoid getting stung is to keep your hands and face clean when you’re outside and to be watchful if there are any bees or wasps nearby. In case they are already close, it’s generally not not recommended to swat at them, because they may sting you in self-defense. Have you ever wondered why bees die when stinging and wasps survive? Wait a second, what is a bee and what is a wasp? Here you have a picture. Wasps do also pollinate flowers, but way less effectively than bees. If you ever wondered about the reasons of the existence of wasps in this world, especially when you are enjoying your lunch outside on a warm summer day, well, let me tell you why wasps exist: In simple words, they have the crucial role in nature of cleaning up. Without wasps, our ecosystem would be full of “waste” consisting in dead insects and other natural “leftovers”. 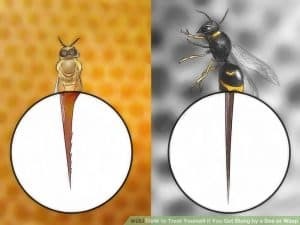 Getting back to the stinger issue, wasps have this special advantage over bees: When they sting, they can pull out their stinger and fly away. Bees, differently, die, when stinging mammals. Why? 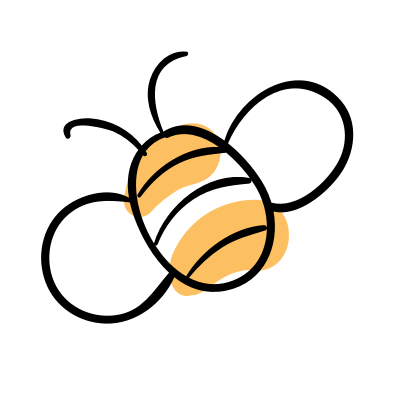 A simplified illustration of a bee stinger (left side) and a wasp stinger (right side). We can see that the bee stinger is pointed and contains saw-toothed blades. These blades look like a harpoon, as if they were meant to drive the stinger in as deep as possible. Muscles connect the stinger to a venom sac, from which a cell-destroying toxin is pumped into the hole. Clearly, the bee’s barbed stinger is made to be stuck in the enemy’s body, while the stinger of a wasp is clearly removable and, more importantly, reusable. A special sheath that slides over the barbed stinger disengages the hooks. 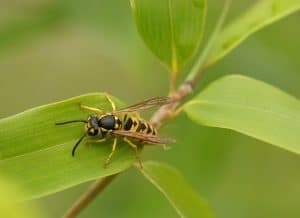 Indeed, a wasp can sting multiple times without dying, injecting every time a small amount of wasp venom, while a bee stings only once injecting the full dose of venom available. Still, the death of the bees happens only if she stings a mammal or a bird. When bees sting other insects, they can remove their stinger properly. But why do bees have to die after stinging? 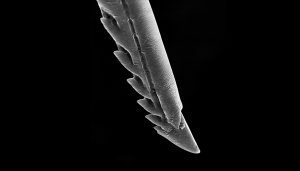 When a bee stings a mammal, its barbed stinger pierces the skin to inject venom, where it gets stuck. The honey bee leaves it behind, along with part of its digestive tract, muscles and nerves. This massive abdominal injury leads to the bee’s death in only few minutes. Meanwhile, the stinger left behind can continue to pump venom, if not removed. A cluster of nerve cells coordinates the muscles of the stinger. The barbed shafts move back and forth, digging deeper into the skin. Muscular valves pump toxins from an attached venom sac and deliver it to the wound – up to ten minutes after the bee is gone. Why didn’t bees develop a sting that is removable from a mammal’s skin? Surprisingly, from an evolutionary point of view, it makes sense that an individual bee dies when it stings. The worker bees that defend the hive don’t reproduce, thus, the only way they ensure reproduction is by protecting the hive and its reproductive relatives. Wait, what? Worker bees don’t reproduce? Yes, indeed. Worker bees are “disposable” soldiers for the hive: their sole function is to gather nectar, pollinate, and defend the hive. All worker bees are infertile females. Only the queen bee lays all eggs and the drones fertilize them. Bees reproduce by a process named swarming where the bee population cuts itself in half and one part leaves the hive, starting a new colony somewhere else. You find this interesting? Read more about swarming here. Since the worker bees are in charge of defense, they are the only kind of bees that actually can sting, differently to drones. The queen bee only stings when fighting for dominance against another queen. We can also put it in these words: The cost of losing some workers is worth it for an improved ability to fight honey and larvae thieves, ensuring the survival of the whole colony. We can push it further and ask why bees lose their stings and wasps, for instance, don’t. Biologists believe that wasps don’t need such an aggressive approach to defense because their nests do not contain any honey and are also less accessible, thus attacked less. Interestingly, there are two evolutionary theories in this regard. The first theory says that the sting evolved early in evolution, before the appearance of mammals. The second theory says that both bees and mammals evolved at the same time. 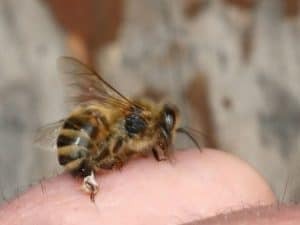 Losing the sting when attacking a mammal is supposed to have more advantages because the bee can deliver a higher amount of bee venom into the victim. In the same time, it emits pheromones that signal attack alarm to other close-by bees. Bees are wonderful creatures that are essential for the ecosystem. They also produce honey, pollen, propolis and beeswax that enrich our lives. Wasps pollinate as well and help get rid of other insects.